John Racener is a member of the 2010 "November Nine" and will have approximately 21 million in chips when action resumes in November. According to his WSOP.com profile, John Racener was born in Dunedin, Florida in 1985. 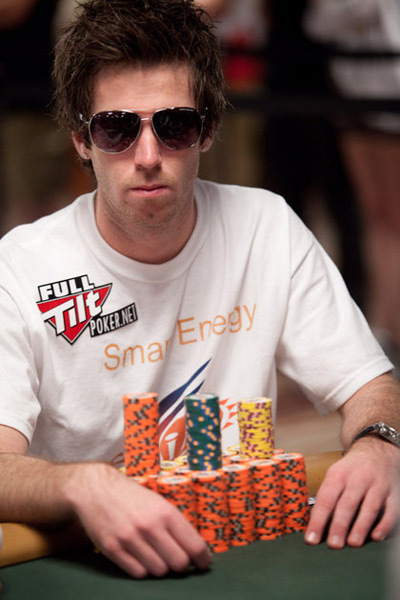 Racener lists HORSE as his favorite poker game, but I'm guessing that he will have a sweet spot for No Limit Hold'em now that he has made the final table of the World Series of Poker main event. 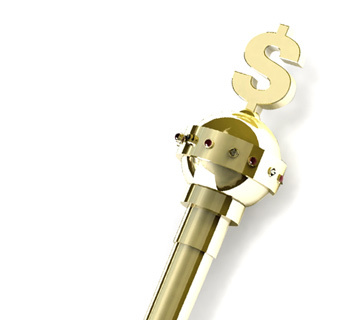 John Racener goes by the alias "$30k" on Pokerstars and "POCKET FIVE" on Full Tilt Poker. According to his WSOP.com profile, John Racener's favorite player is Michael "The Grinder" Mizrachi - ironic, considering that both have made very deep runs in this year's main event. 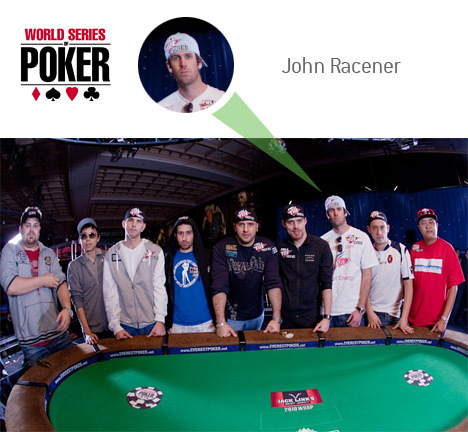 Racener is a self-taught poker player who has been active on the live tournament scene for a number of years now.